Please select quantity. Pendants vary slightly in size and coloration. 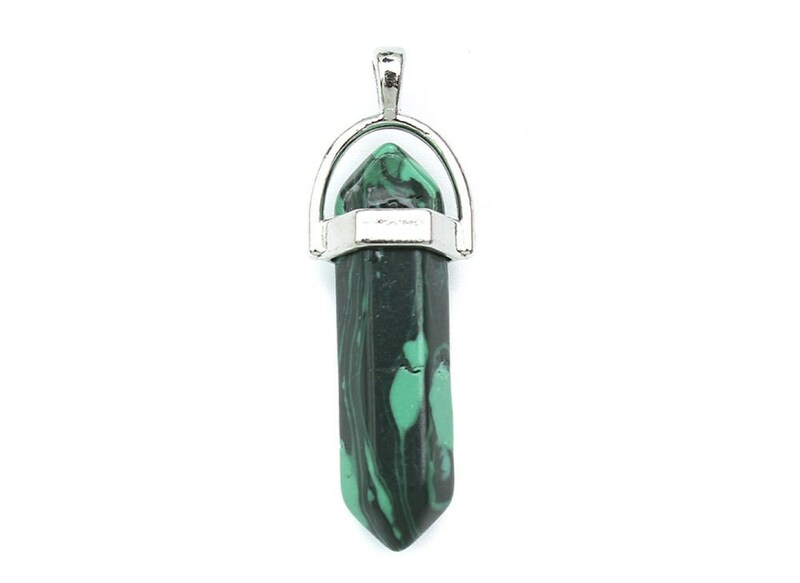 Giving 4 stars because I am not sure if this is man made malachite or just tumbled down to a double termination pendant. Still, everything else...it's quality.